Living in Blue Springs means you get to enjoy life in a more laid back manner because this is exactly what it's like here. And why wouldn't it be? 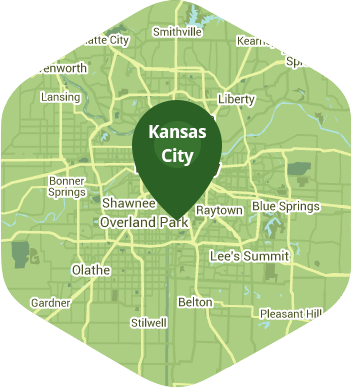 After all, you are living near a lake that is right around the outskirts of Kansas City, so you still get to enjoy the advantages of living the big city life minus the setbacks. Whether you like hiking at Burr Oaks or do a bit of fishing on the lake, life in Blue Springs is anything but boring. With that said, the last thing on your mind is trying to mow your lawn during the weekend. Lawn Love gets that you don't want your weekend to be busy, so we would be more than happy to mow your lawn for you. Our lawn mowing service is as legit and reliable as they come, and we have some of the most amazing independent lawn pros who are ready to cut your grass to perfection. Our guys each have an average of 10 years' experience in the business and know what kind of approach to use for every lawn they are asked to work on. What's more, our website and mobile app both make it more convenient and easier to book our lawn mowing service. Get in touch with us now at 816-527-9015 if you have any questions, or get a free online quote to see our prices. Rated 4.75 / 5 stars in 2,040 Blue Springs customer reviews. Dusk and dawn are the best times to water your lawn (the sun will rise at 6:28 AM and set at 8:03 PM today in Blue Springs).